Published on Friday, November 25, 2016. This article appears in the October/November 2016 issue of American Craft Magazine. In Art Through Words I (2015), a piece from the Callig­raphy series, English and Arabic scripts are intertwined. As math and science scholars, Martin and Erik Demaine operate at the leading edge of technological innovation. As accomplished artist-craftsmen, father and son are also happily at home with time-honored materials and methods. Their ingenuity caught the attention of The Balvenie, maker of single-malt whisky, which joined with the American Craft Council to present the Demaines with the Rare Craft Fellowship Award, given annually in recognition of the “maintenance and revival of traditional or rare crafts in America.” For Martin and Erik, the prize felt like a gratifying nod to the field of origami, a centuries-old craft enjoying a kind of renaissance as contemporary sculpture. This past spring, the two met the other finalists, coppersmith Stephen D. Bradway, beadworker Teri Greeves, ceramist David MacDonald, and bicycle builder Erik Noren. Judges for 2016 were lead juror Anthony Bourdain, chef and TV personality; Perry A. Price, former ACC education director; and David Stewart, longtime Balvenie malt master. The Demaines plan a trip to the Scottish Highlands to spend several weeks at the famed distillery – “the place where the magic happens,” as Erik puts it. Since 1893, Balvenie craftspeople have made their product by hand, a painstaking process involving locally grown malt, an old-fashioned malting floor, stills maintained by a resident coppersmith, and coopers to look after the barrels. Malt master Stewart presides over the all-important aging of the whisky. “For all the skill required to ensure consistency in The Balvenie, our malt master looks forward to the future as much as to tradition: It’s he who pioneers new ways of bringing out the mysteries that hide within each drop,” according to the company’s website. That ethos resonates with the Demaines, who look forward to observing and meeting with The Balvenie team, maybe even partnering with them in some way. 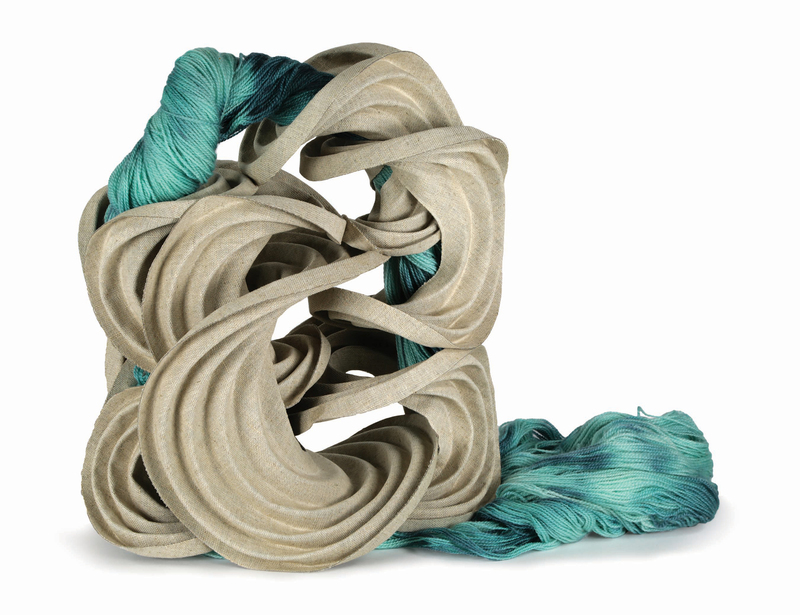 “We always look for collaborations across disciplines,” says Erik. “Our hope would be to find something interesting to do together. We won’t know what that is until we go there. We tend to improvise.” What they will find, no doubt, is affinity with makers like themselves, rooted in tradition and science, in pursuit of excellence. Inspired by the Bauhaus movement, Waterfall (2014) is an homage to weaver Anni Albers. Made of linen paper, the work imagines a collaboration between Anni and Josef Albers, her color-theorist husband. 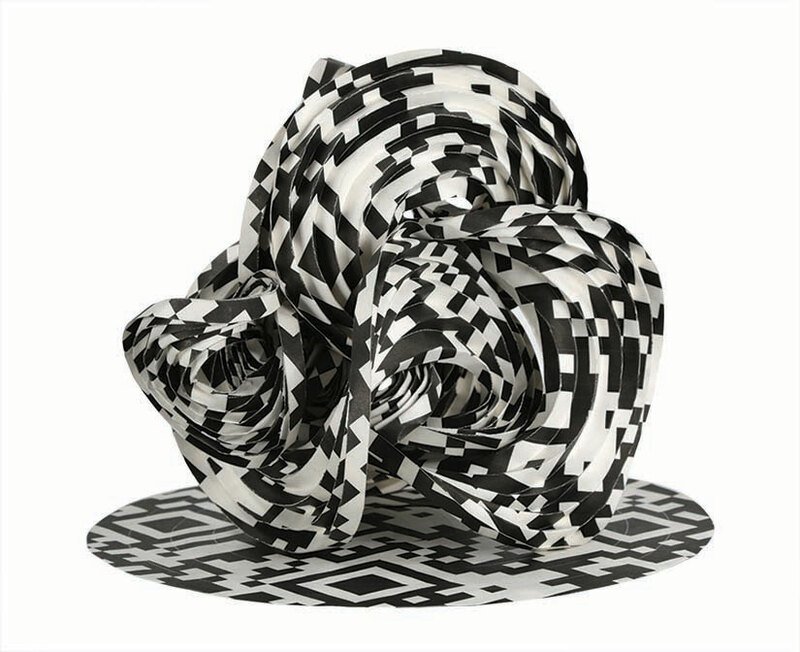 Some of Erik and Martin Demaine’s work, such as Mint Tea (2014), combines Erik’s paper folding with Martin’s glassblowing. 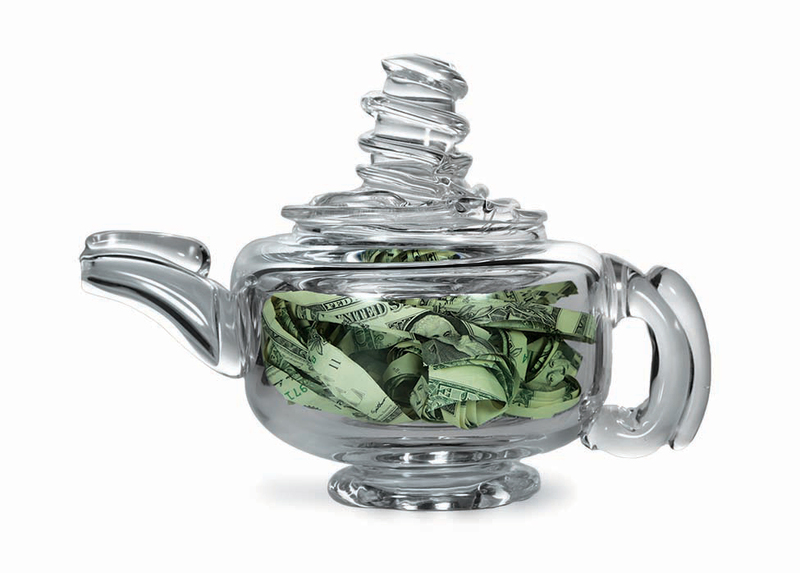 Inside the teapot are folded dollar bills. 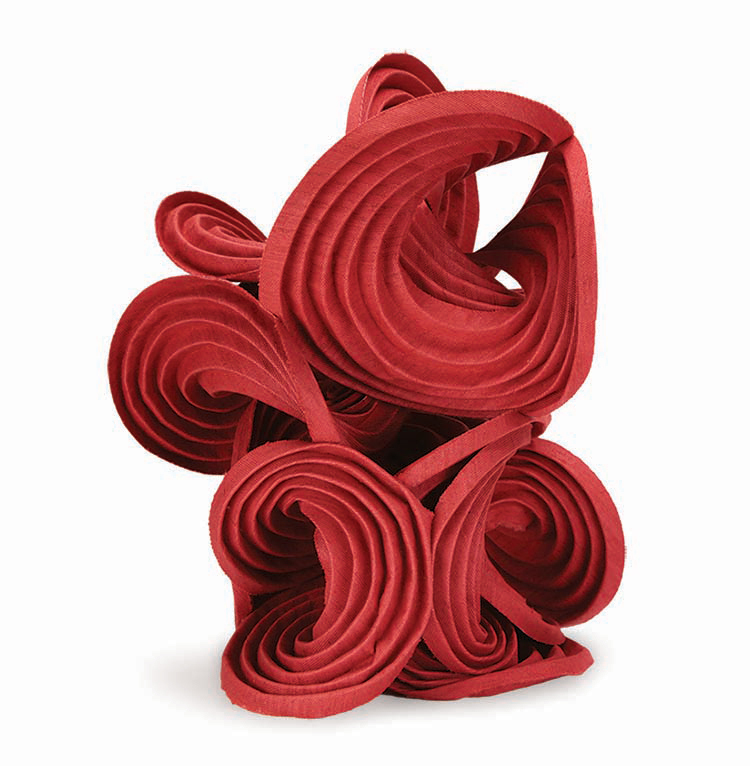 The red Linen Swirls (2015) is one of a series that explores one of the oldest textiles in the world; linen dates back more than 4,000 years. A Graham Greene short story about destruction as a form of creation is folded into Destructors III (2013). But the story can’t be read without destroying the sculpture. 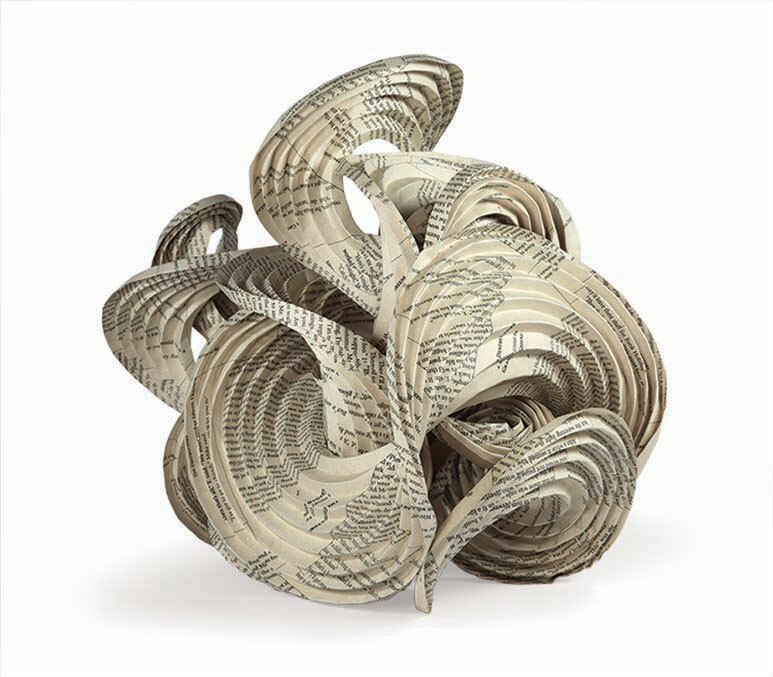 The Demaines printed paper for Folding Error I (2014). If you were to scan the unfolded QR code with your phone, Erik says, you’d get the title of the sculpture.